Our Customer Care Program isn’t just a handshake. It’s a commitment. 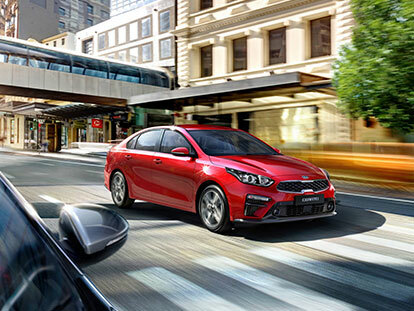 At Ipswich Kia, we understand that buying a new car is a big decision. Introducing Australia’s Best Warranty offering – 7 Years Unlimited Kilometre warranty, backed by 7 Years Roadside Assistance (subject to eligibility) and 7 Years Capped Price Servicing – because we think peace-of-mind is an important part of any vehicle purchase. At the same time, regular checkups, maintenance and servicing are still essential. And no one is better qualified to do that than Ipswich Kia. Simply return your vehicle to Ipswich Kia for each of its scheduled services, and you’ll enjoy peace-of-mind for the long term. And perhaps by this time you may also have a few questions about how things work. So who better to ask than the staff at Ipswich Kia?